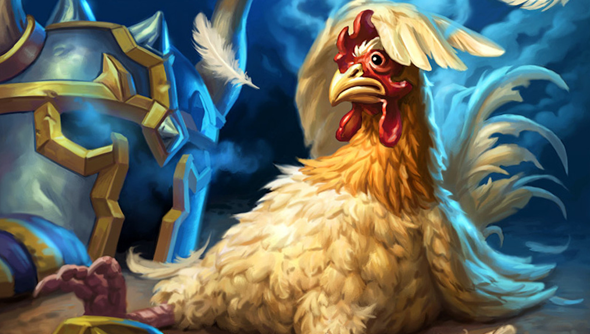 It starts off innocently enough, you trade a win or two in Hearthstone just to get by. You want your MMR to be a little higher so your friends will still look at you with respect. Soon it spirals. You’re botting game after game, using your newfound rank to reach for glory in a tournament. It’s not till you wake up in a bathroom, vomiting on the cracked tile floor that you realise you have a problem. By then it’s too late. You can’t stop. Blizzard are here to save you from that future, win trading will now result in a permanent ban on your account and disqualification from tournaments. Win trading undermines this. The way it works is that when you’re reaching the top ranks of play you’ll find yourself facing the same opponents regularly because the matchmaker has few people in the same skill level as you. If one player forfeits then the other player gets a boost to their rank. High level players zRusher and Specialist admitted using win trading to get legendary status. They say this was just “exploit testing” and that “zRusher achieved Legend rank but with a bad taste in his mouth”. Specialist confirmed on Reddit that he was finally banned by Blizzard – 10 months after his original post highlighting the exploit.